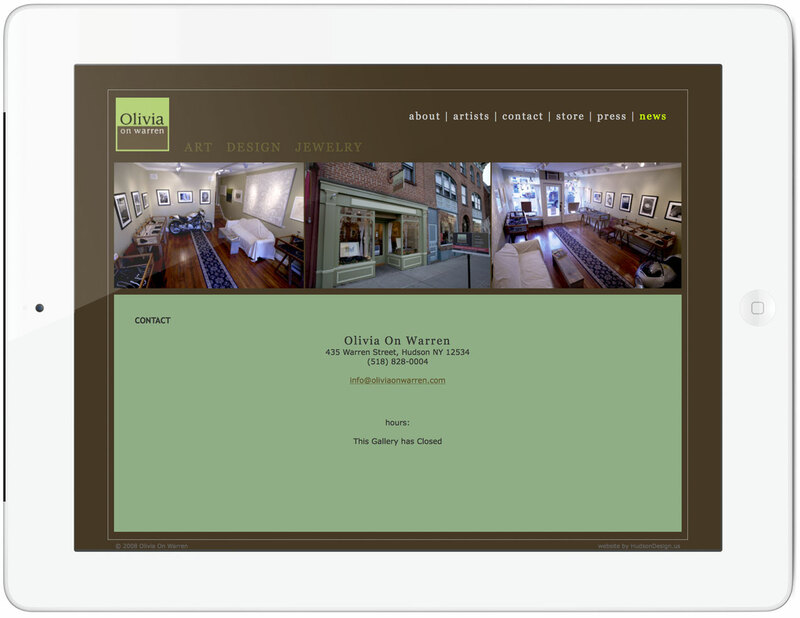 Olivia on Warren was a boutique gallery located on Warren Street in Hudson, NY in 2008. 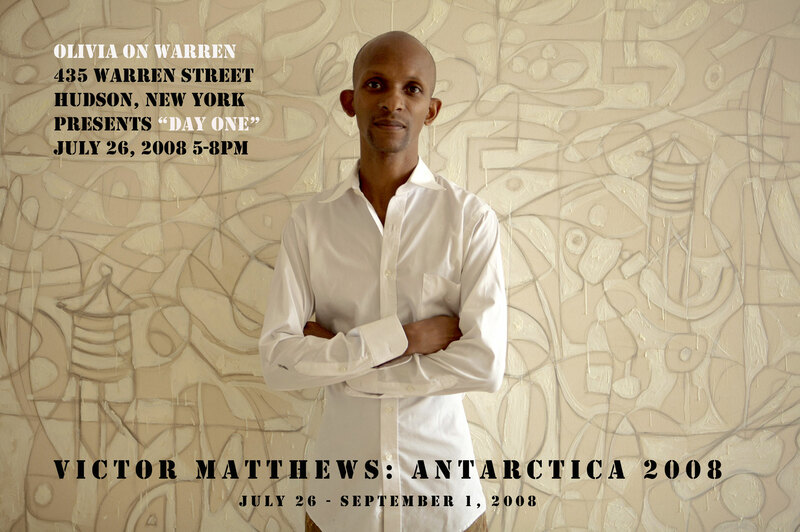 It was a storefront to show artists works: paintings, photographs and jewelry. 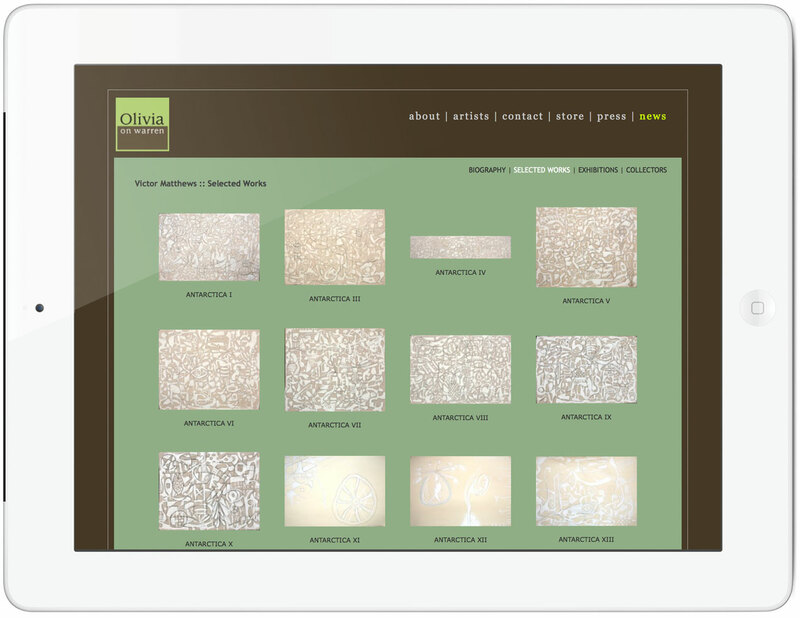 We owned and operated the business, and designed the interior space. We created the Olivia on Warren logo, and branded it across the signage, packaging, website and business cards. 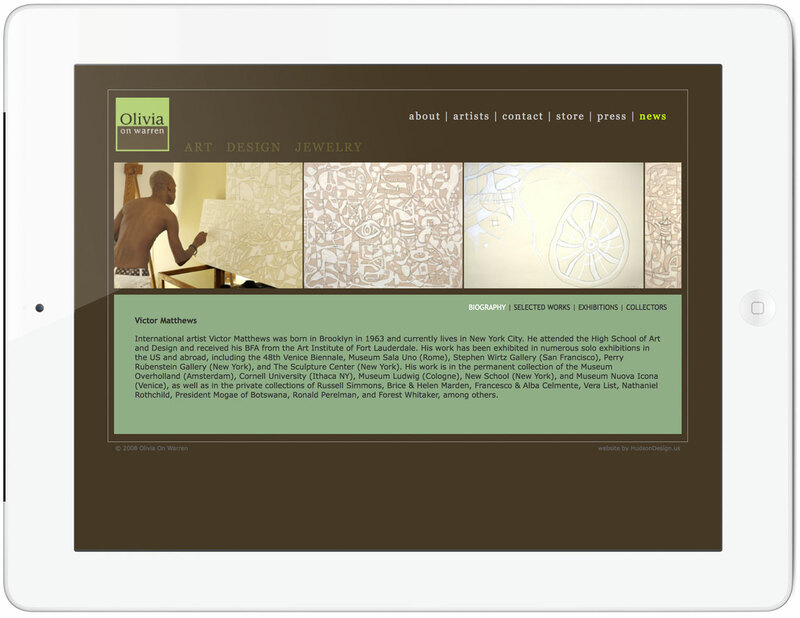 Other design aspects include: posters and postcards, store and gallery displays, and show curation. 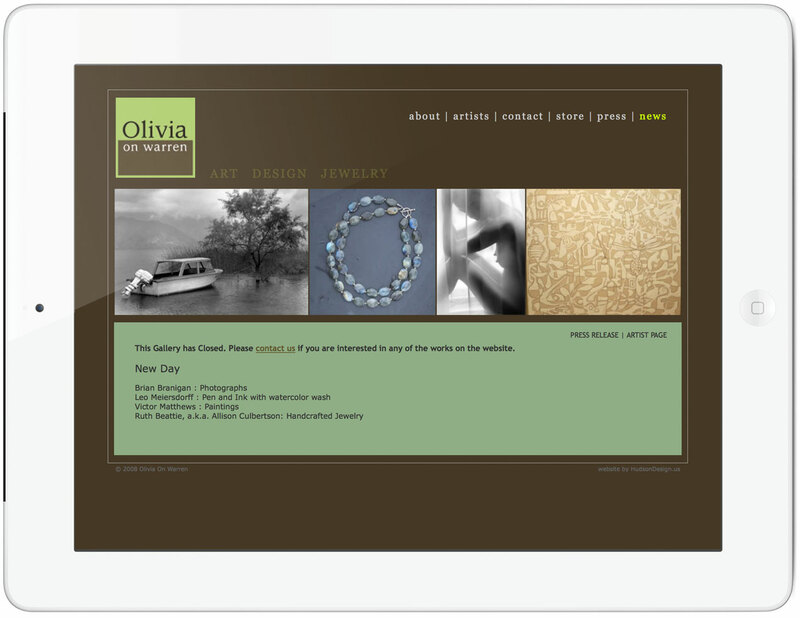 The website features artists whose work is shown and represented by Olivia on Warren. 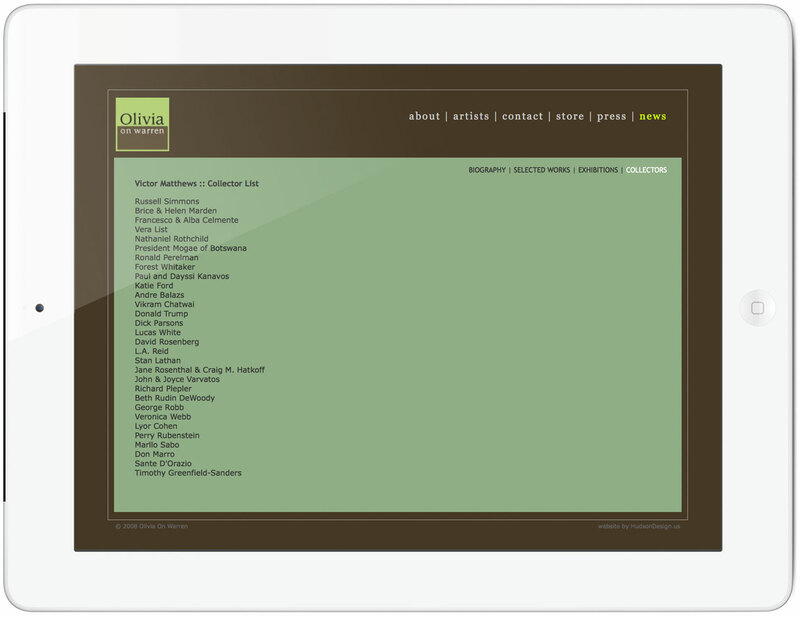 Besides the main navigation and information about the gallery, we designed the website so that each artist has their own area for biography and gallery pages.